Indianapolis Housing Agency will lose three properties in 2019. 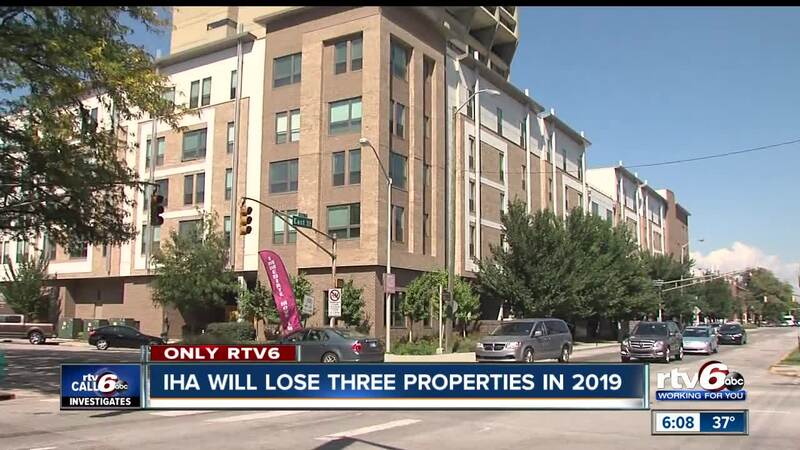 INDIANAPOLIS — The pending loss of three Indianapolis Housing Agency properties, to a private management company, may have a financial impact on the agency's services and employees. The extent of any possible budget cuts is not clear. Third-Party management will take over Barton Tower, Barton Annex, and Concord Village apartments over the next several months. RTV6 sat down with the interim executive director, Jennifer Green, and asked if she saw the intervention of a third party as a failure for the agency. "I see it as an opportunity. I really do I see it as an opportunity because if this allows us to see if a third-party management company will do a better job, then this allows IHA to learn also in regards to management," Green said. "I think it's more of a learning and opportunity and to bring those properties to the standards that HUD wants us to." In a previous discussion, Green said she did not anticipate the U.S Department of Housing and Urban Development would take over a part of the agency after a critical audit out of the Indianapolis office raised questions about its operations, finances, and services. While HUD has not taken over the agency, Green was optimistic about the pending loss of three properties to a third party management company. "I don't want to take that back. I think that HUD has a responsibility, they have responsibility if you want to do these conversions, if you want to borrow money for renovations they have a fiscal responsibility, so I think that's where it's coming from," Green said. "I don't think it involves the rest of the organization, I think involved with these two transactions, and we will move on from there." Green says she is focused on making sure the staff is well trained in agency policies and federal regulations before the arrival of the new executive director, John Hall, on March 4.